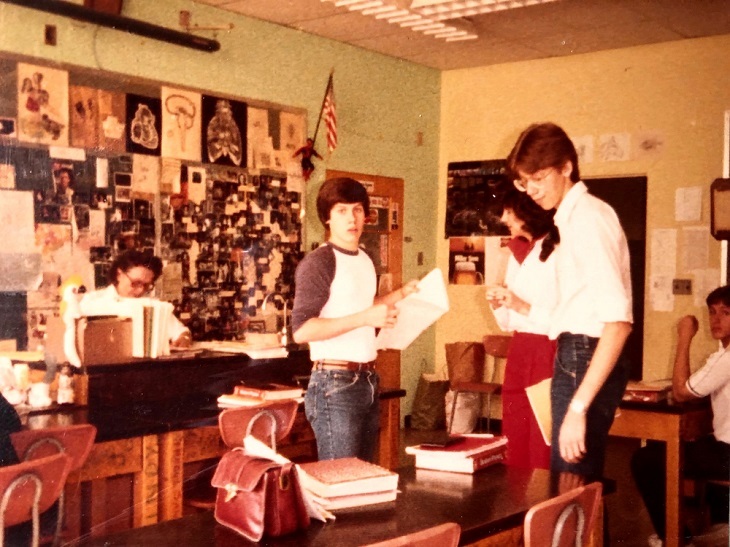 This photo from 1984 shows the late Mary Reppert, a Bridgeport High School teaching icon, busy at work (to the left behind the desk) as her students are busy at work. Shown with Reppert, from left, are J.D. Bailey, Pam (Hardman) Reep, Scott Burnside and to the far right and partially cropped is Brian Yost. This photo is from Easter Day 1942 and shows a section of road between where old Bridgeport Hill is situated with the mutliple car lots and Minard's Spaghetti Inn. 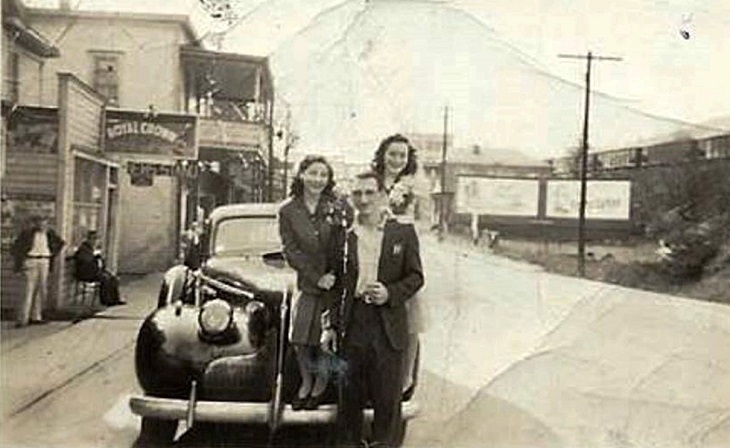 Minard's would be situated just over the shoulder of the young lady on the far right of the automobile.See anyone, or anything, familiar in this photo? If so, add in the comments below.